Deputy Regional governor of Montana Nina Petkova opened the first for 2015 regular meeting of the Regional Co-ordination group which took place on 03.04.2015 in conference room №1 of the Regional administration. Event was also attended by Deputy regional governor of Montana Petar Petrov, representatives of UNICEF Bulgaria and institutions, directly involved in the implementation of the social policy in the region. The main objective of UNICEF’s participation was to support Montana region in the process of improving regional capacity in the field of planning, management, monitoring and evaluation of policies, programmes and activities on regional and municipal levels, directed towards specific children target groups, including disabled and children at risk. NORTHWESTERN REGIONAL DEVELOPMENT COUNCIL LED A REGULAR MEETING IN MONTANA. Northwestern Regional development council led a regular meeting on 31.03.2015 under the guidance of Mr. Ivaylo Petrov – Regional governor of Montana and chairperson of the council. The event took place in conference room №1 of Montana Regional administration and was attended by Mr. Ivan Asparuhov – Deputy Minister of regional development and public works, Mrs. Nadia Marinova – Deputy Minister of tourism, representatives of ministries, Regional governors of Montana, Vratsa, Vidin and Lovech regions, Deputy Regional governors, representatives of syndicates, employers’ organizations and academic circles. Information about the start of the Operational programmes and the measures which will be opened for project submission was presented in front of the council members. They were also given information about the implementation of the National energy efficiency programme on the territory of the Nortwestern region as well as information about the financial support which municipalities will receive for the purpose of Common spatial plans elaboration. Official start of the “Internal water-supply network and external water-main of Brusartsy, together with internal water-supply network First stage – Kriva bara village” project of Brusartsy municipality was given on 30th of March 2015. Project is financed by contract №12/321/00935 within Measure 321 “Essential services for population and economy in rural regions” of the “Rural regions development programme” 2007-2013 which is financially supported by EU Agricultural rural regions development fund. Event was attended by member of Bulgarian Parliament Desislava Atanasova, Regional governor of Montana Ivaylo Petrov, representatives of “Road infrastructure” Agency, rural mayors and citizens of Brusartsy municipality. 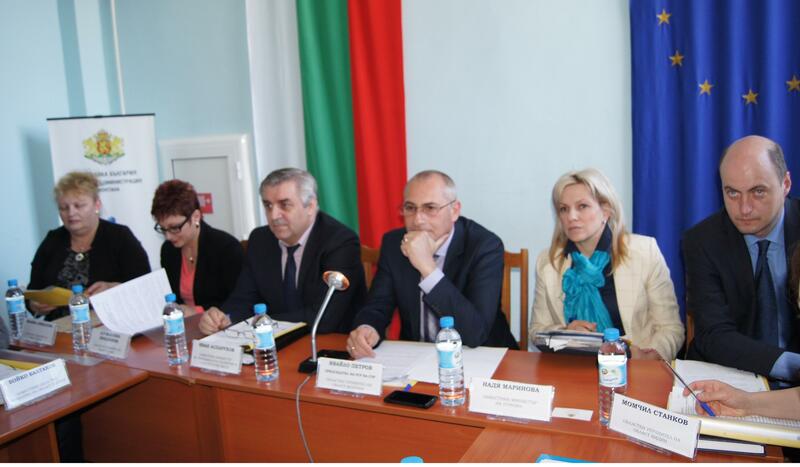 Deputy Regional governor of Montana Nina Petkova, accompanied by Dobromir Todorov – senior expert in Montana Regional administration particiapated in the official start of the Interreg V-A Romania – Bulgaria 2014-2020 programme. 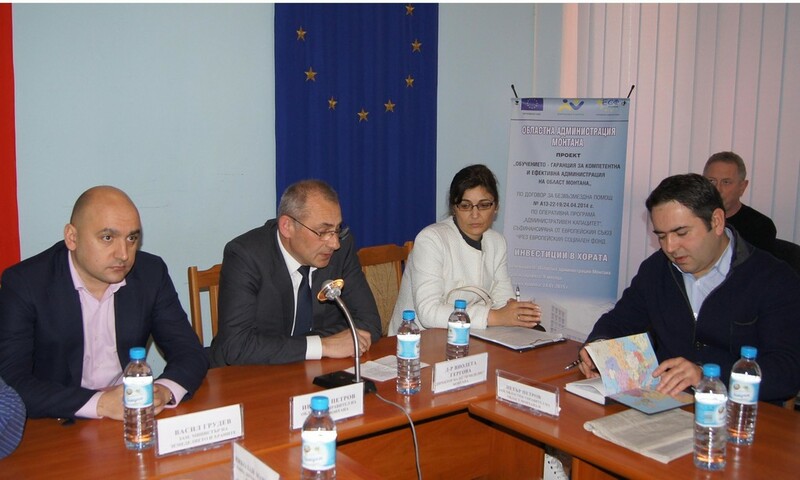 Programme was officially given a start by the Managing Authority – Ministry of regional development and public administration of Romania and the National Authority from Bulgaria – Ministry of regional development and public works on the 26th of march 2015 in the presence of a EU DG Regio representative, Joint Technical Secretariat – Calarasi, Romania and an impressive audience, including regional and local authorities, NGOs etc. A day earlier on the 25th of March 2015 the Joint Monitoring Committee of the programme, which Mrs. Petkova attends as a voting member, led its first regular meeting, adopting the Programming document, together with the full application package. Montana Regional administration participated for another year in a row in the “Junior Achievement” Foundation’s initiative, called “A manager for a day”. The administration welcomed three participants from “Vasil Levsky” high-school of Montana as heads of the state institution. Borislav Alexiev was given the chance to be a Regional governor while Denitsa Jivkova was selected to be a Deputy Regional governor. Gabriela Ivanova from the same school was chosen to take the position of a Chief secretary. Managers had the chance to become familiar with the functions and the team of Montana Regional administration. They were introduced to the function of the Regional disaster reaction unit and basic procedures in situations of emergency. 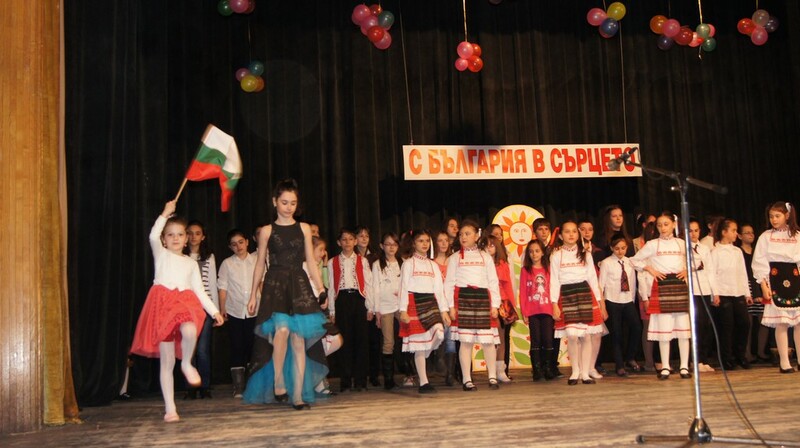 “D-r Petar Beron” school of Montana celebrated its patronal festival in the hall of the Dramatic theatre in Montana. 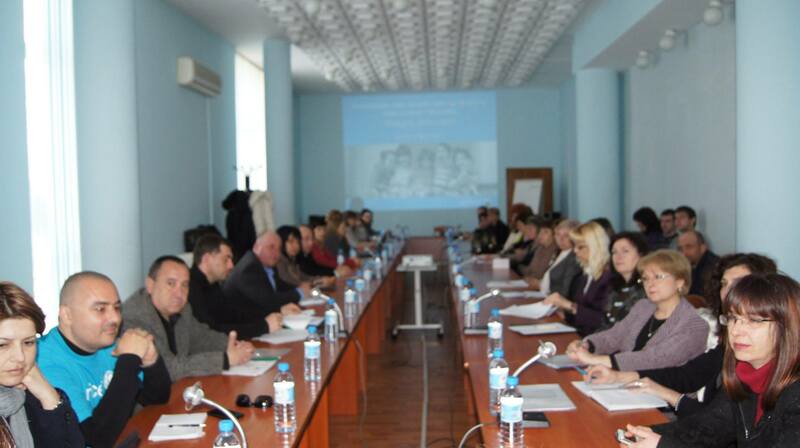 The event was attended by Regional governor Ivaylo Petrov, his deputies Nina Petkova and Petar Petrov, experts from the Regional education inspectorate of Montana, teachers and parents. Students of different classes participated in the celebration, performing songs, dances and poetry. On the occasion of the celebration Regional Governor presented the school with a congratulatory address and a basket full of flowers. “There is no indication for any possible emergency situation on the territory of Montana Region since neither of all 61 lakes and hydro-technical equipment represents a threat for the population or the property of the people. Water is below the critical level in most of the lakes” stated Regional governor Ivaylo Petrov during a press-conference with the local media. “According to the experts snow does not represent a threat as well since it usually melts slowly in the northern parts of Stara planina” added the Regional governor. In case there are technical problems somewhere a commission, established by an order of the Regional governor is supposed to monitor different situations and issue prescriptions for dealing with the problem. There are dykes, damaged by people in Dolny Tsibur and Vladimirovo villages. One of the dykes is on the Danube river. Condition of waters on the territory of Montana region is daily monitored since the 5th of March 2015. “Water in five of the lakes – Kozorovets, Klisuritsa, Slatina and Rasovo 2 is brimming over but since conductivity of the rivers is functional water passes normally through the river beds with about 1 cubic meter per second” stated Regional governor. Representatives of the Bulgarian Ministry of agriculture and food led a meeting with farmers from Montana region in relation to the 2015 general agricultural policy application campaign. 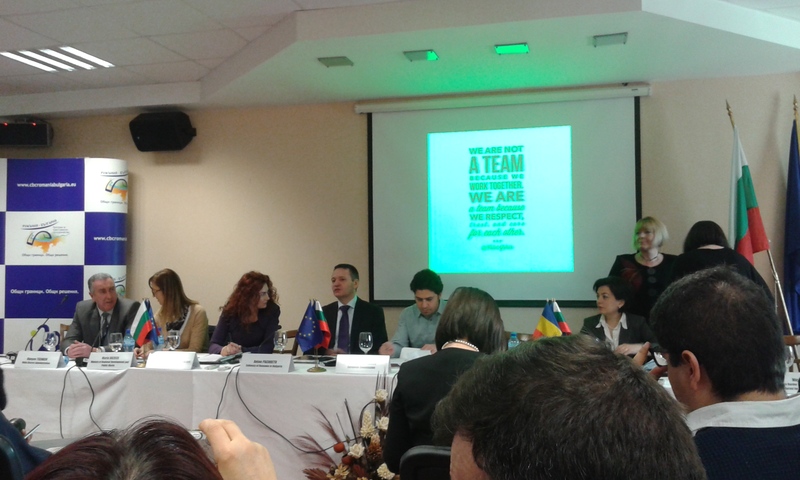 The event took place on 17.03.2015 in conference room №1 of Montana Regional administration and was attended by the Deputy Minister of agriculture and food Vasil Grudev, Regional governor of Montana Ivaylo Petrov, Deputy Regional governor Petar Petrov, the Director of “Agriculture” Regional Directorate of Montana etc. Deputy Minister informed farmers from Montana region that their projects, submitted within the “Rural regions development programme” 2014-2020 are going to be granted additional points in the application procedure.